An excellent opportunity for who want to discover the potential of the computer, replacing hard disk with a new quick-tech . Not processor speed, not even number of cores o r memory ram .. Hard Drive is definitely for your daily work. HDD must be replaced by higher product which has more Read - Write speed .I bought Samsung MZ-7KE256BW with very low prices in Turkey for my computer. It took me 5 minutes to embed SATA 3 slots. 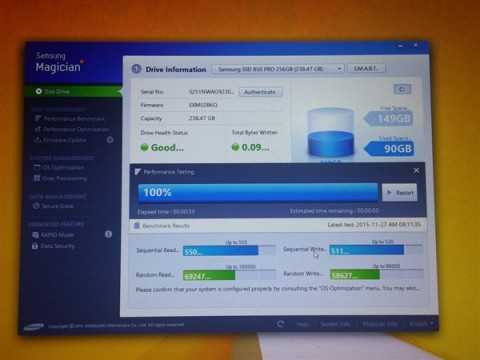 When my N56VM series Asus Laptop ( Windows 8.1 operating system ), coupled with this highest ranking SSD the boot was opened in 4 seconds.The awesome speed . Reading - writing speed does not only pointed to the boot speed ; it's easily improve copying speed and time of opening of the program . Also it will touch on the benefits to ease your time and video card performance like the .